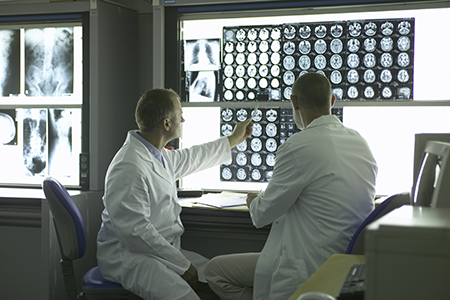 Glioblastomas are treated withing GWCC’s Neuro Oncology Program. Glioma is a type of tumor that occurs in the brain and spinal cord. Gliomas begin in the gluey supportive cells (glial cells) that surround nerve cells and help them function.